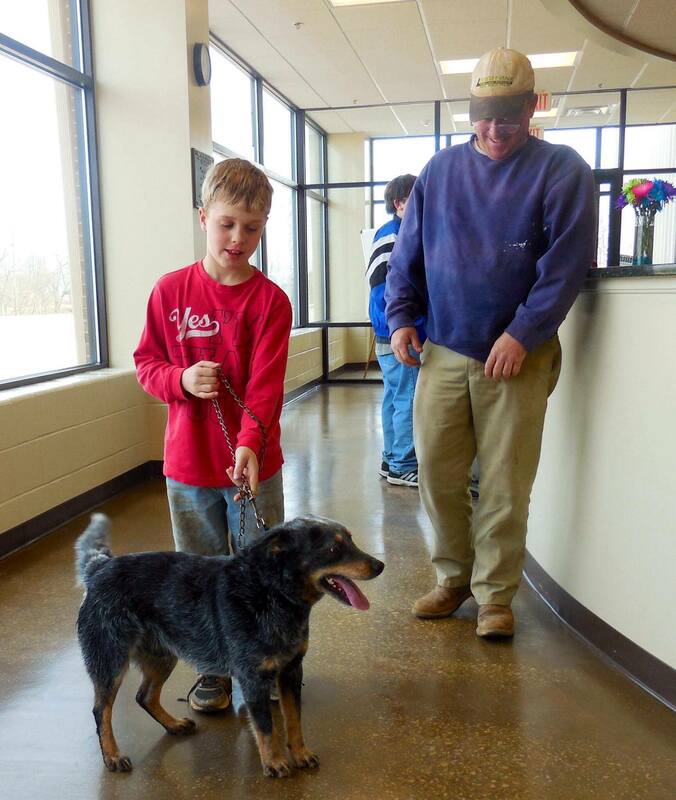 On Saturday, March 7, 2014, a family adopted Blaine the Blue Heeler from Hardin County Animal Shelter. When this happened, it brought me great joy. Blaine came into the shelter as a stray over a month ago. He had a special talent: he could climb over the kennel gates and would run loose in the kennel area. He was a dog who couldn’t be caged. It wasn’t long until Jumper was adopted. Unfortunately, he came back to us after it was discovered someone was trying to sell him on Craigslist. When he returned to us, he had an unusual problem: explosive diarrhea. We held him in the quarantine kennel area and it wasn’t long until I heard a rumor that he would be put down if we couldn’t resolve his intestinal problems. Blaine wasn’t the only dog with this problem. There were three other dogs with grainy watery diarrhea. My first thought was it had to be the food. Since I’ve become somewhat of a dog nutritionist, I reviewed some material written by Dr. Lew Olson regarding digestive system issues and decided in order to help Blaine and the other three dogs, we needed to do something different with their food. On the first day, two things happened. First, Blaine’s stool was solid and less bulky. Second, Blaine was less hyper than when he received kibble. The other dogs responded in like manner. For the duration of his stay, I continued to add pumpkin to his food each day and fed him a mixture of canned food mixed with a holistic kibble formula. This helped manage his system and fortunately he went home. Had I not taken the initiative to do something to help this dog, he would have been on death row. Fortunately, my efforts produced a friendly, laid-back dog who was adopted the first day we put him into the adoption pool.